Allison Posey is a curriculum and design specialist at CAST, the Center for Applied Special Technology. There, she engages in curricular design, leads professional development trainings for the Universal Design for Learning framework, and supports online course instruction, including the UDL Affect and Engagement course. She works with educators across the United States and internationally to integrate and apply current understandings from brain research about learning into instructional practices so that all learners can engage in rigorous learning opportunities. She coordinates the CAST free webinar series and presents on the central role of emotions in learning. 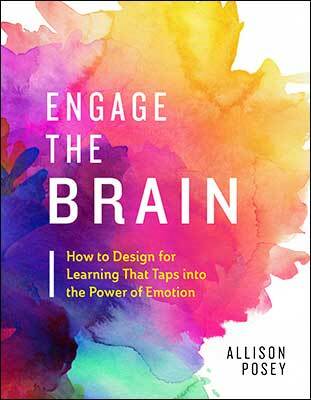 Engage the Brain is a practical, informative guide for understanding how to capture the brain's incredible power and achieve better results with all students.